Having some of the BIOSLEVEL.com writers over to my house for this review, we connected the MicPort Pro up to my AMD Phenom-powered computer hosting Kubuntu 11.10. Using the supplied USB cable, connecting the MicPort Pro was easy. On top of a simple installation, the clear acrylic band near the top of the unit lights up via a white LED when plugged in. CEntrance advertises Linux as a supported operating system, and they live up to this claim. Upon plugging the MicPort Pro into a free USB hub, I noticed the device was instantly picked up by checking dmesg. 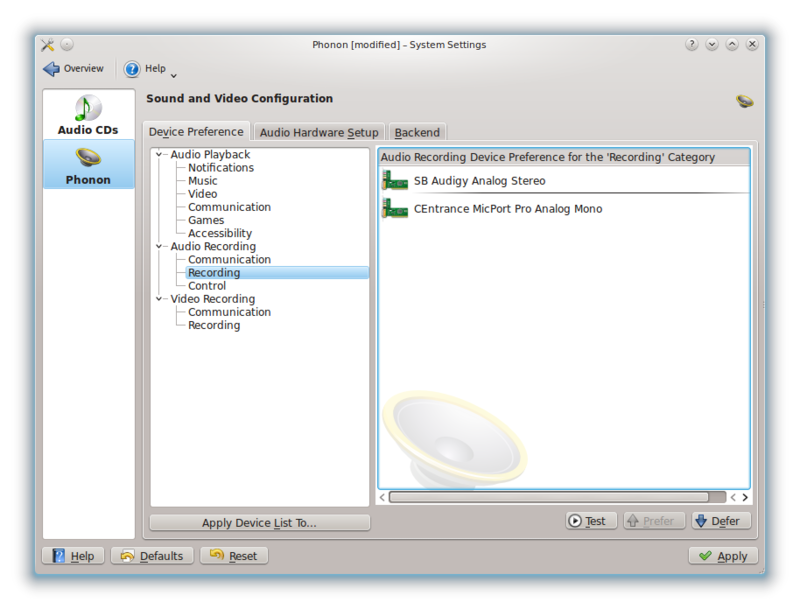 Seeing that the device is picked up as snd-usb-audio is promising, but it is still necessary to test whether or not the device does indeed work in Linux. “Working” being defined as both the input and output of the MicPort Pro are fully functional. To verify both the input and output are functional, I'll begin by checking my system settings in KDE and ensuring I'm able to select the MicPort Pro as a valid multimedia input and output device. Sure enough, the device appears for both input an output. I selected the MicPort Pro as default device for both input and output duties. Now the real testing begins. 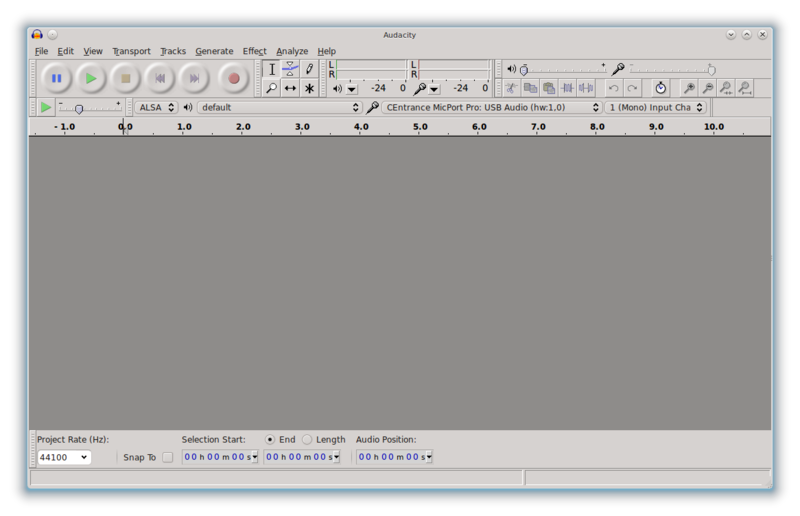 I started Audacity next, and selected the MicPort Pro as the preferred input. When I tested recording, everything worked exactly as if I'd been using my internal soundcard. The quality of recording? Read on!